Nothing-ness is the ultimate product of modernity. It is the culmination of a cultural vector, sharpened to a point where the mechanisms that enable it appear to vanish. This point is where the focus of modern day magic: technology and organization becomes alchemic- substance dissolves into air, mass turns to light, accumulated wealth turns into culture. 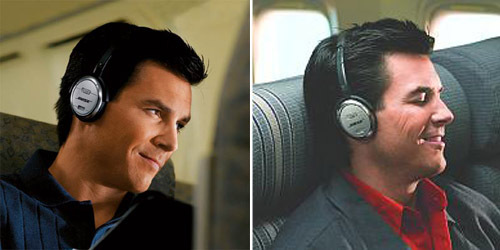 It’s the magic I’m hoping to experience when I clamp on a pair of sleek, brushed aluminium Bose noise reducing headphones. My ears sink into soft leather cushions like pigs reclining into Italian furniture. As the headphones take control of my audio input, it’s like stepping into a wide-open sonic landscape. The space between my ears expands to an epic scale: a vast empty terrain within my head. What’s happening while I’m centered in this huge artificial sensation is something fast, complex and invisible. A hidden apparatus manufactures this environment like that medieval vision of the universe where the sky is drawn back to reveal the gears, cogs and springs which power celestial movement. While I’m listening to the headphones, the headphones are listening to the sound that surrounds me. They capture the ambient conditions, process the data, and calculate its exact inverse, instantaneously. This noise reducing technology has the kind of logic that only usually works in science fiction: by playing the opposite waveform, the unwanted original sound is simply cancelled out. The negative value added to the positive value equals zero. So what I’m hearing is a technological silence, an artificially manufactured peace. The electronics condition the sound just as other environmental factors such as temperature and light are routinely altered. Sound conditioning technology has its roots in the buttons on over-specified stereos that allow you to switch between concert hall, jazz club or cathedral. These buttons layer recordings with spatial characteristics, stretching and compressing the sound as necessary. I used to love flicking from one to another, as though teleporting from venue to venue. The difference now is that the acoustic conditioning isn’t a pre-set; it is constructed in real time. Acoustics provide us with spatial information. And without these cues and signatures our perception alters. The sensation is dislocating. It’s like hearing a completely un-natural place – a sonic manifestation of an abstract concept. Pinched between the headphones, I feel like I’m within an invisible cave or a sonic vacuum. It is disorientating: what you see and what you hear are out of kilter, cause and effect come loose from one another. Try talking, and your voice is cut out. Things that should be experienced as aurally arrive as physical vibration. Contemporary music-making really equates to music-production, to the collating and curating of people, references, sounds, and effects. 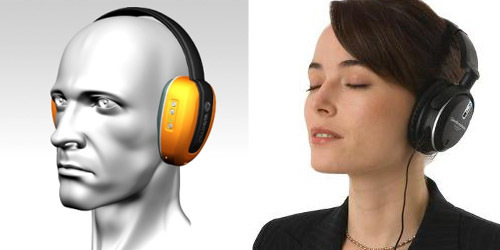 The audio experience is stunning: The stronger the sense of silence, the more concentrated the audio experience. You can hear sounds placed around you as carefully as an aggressive cricket field around a batsman. Every drumbeat feels like a distinct three-dimensional object. It’s like being a sun in a solar system: the centre around which everything else orbits. The sensory experience is so powerfully enhanced that the effect is hallucinogenic. Changes in the technology of how we listen to music have transformed the kind of music that we make. Radio allowed the worldwide dissemination of music to create a mass popular culture. Vinyl allowed individuals to own music, thus choose their own soundtrack and establish their identity within popular culture. But it’s not all good news. The hiss-less sound of Compact Disks is often blamed for the otherwise inexplicable sales of Dire Straits ‘Brothers in Arms’. Think of the title track: What we really enjoy isn’t the strange warm sound of Mark Knopflers guitar, but the emptiness between it. The records success was a coincidence of an articulated musical style and production with a new technology of sound reproduction. What we really enjoy is the digital silence – in this case a silence described by 1s and 0s using algorithms developed in an Eindhoven laboratory. CDs condemned an era to the gated drum sound of Phil Collins, the slap bass of Mark King. 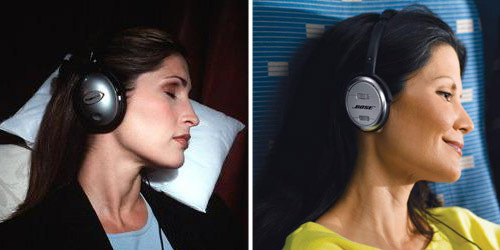 What might noise cancelling do to the kind of music we listen to? How might this sonic anti-shadow alter how we hear? The things we’ve heard reappear in the sounds we make. In 1951, John Cage visited an anechoic chamber at Harvard University in order to hear silence. “I literally expected to hear nothing,” he said. Instead, he heard two sounds, one high and one low: his nervous system and his blood circulating. This experience triggered 4’33, his ‘silent’ composition. “Try as we may to make a silence, we cannot,” he wrote. What happens when we can manufacture silence on demand? Mies, Rothko and all the others who provide portals into modern nothingness. It also recalls Brian Enos interest in ambient noise, or Simon Jeffes of the Penguin Cafe Orchestra who would drive out to Heathrow to listen to the nocturnal hums and rumbles of the airports mechanics. Like all great technology, it lets us see – or in this case, hear – the world differently. It’s a portable environment synthesiser, as mysterious as holding a shell to your ear. 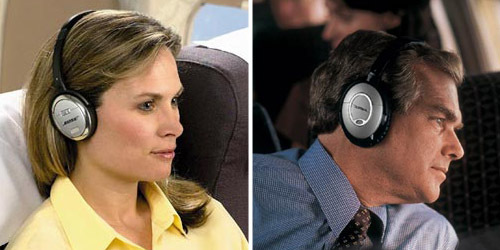 What is that place that you can just hear through the noise cancelling: what kind of nothing? The endless emptiness of space? The void of death? Abstract mathematical zero? It would be fabulous if all luxury consumer products could ask these kinds of questions. nice headphones! looking for a pair, might pick these up!